Edmund Rice Christian Brothers North America Province seeks to continue the mission of Blessed Edmund in the Twenty-First Century by responding to the signs of our times and to the needs of today’s most vulnerable members of society. We have accepted the call to evangelize youth within the mission of the Catholic Church. 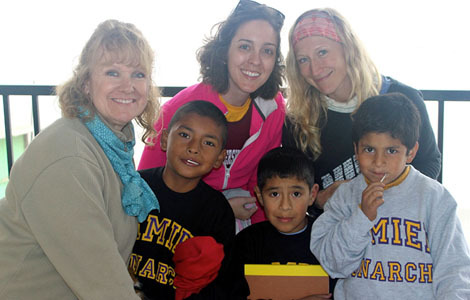 We complete this work in a variety of settings, including Catholic schools and numerous outreach ministries that serve the people of God by responding to their very human needs. In these, and in parish, healthcare, counseling and other ministries, we follow the example of Blessed Edmund, who tended to the needs of the vulnerable and nurtured the dignity of each human person. We Christian Brothers take great pride in acknowledging the past and present good works of our Brothers in schools and other ministries across the North American Province. We pledge to continue to be of service to the Church in our schools and other ministries by being faithful to God’s revelation to us in creation, the Gospel message of Jesus of Nazareth and the spirit and charism of Blessed Edmund.